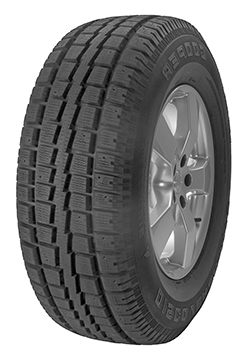 The Discoverer M&S is a superior winter tyre designed to deliver an optimal performance on and off-road. Constructed with a dense ‘zig-zag’ tread pattern design, this tyre achieves excellent traction in wet conditions and an enhanced winter performance. D2 Sipe Technology has been used in the design of this tyre and strategically shaped sipes work to provide performance benefits throughout the life of the tyre. In addition, stud pin holes are situated across the tyre to deliver optimal traction on snow and ice covered surfaces for a safe winter performance.